An update from our product leaders: Deepa Subramanian is CEO of Wootric. Prabhat Jha joined Wootric one year ago as Chief Technology Officer. 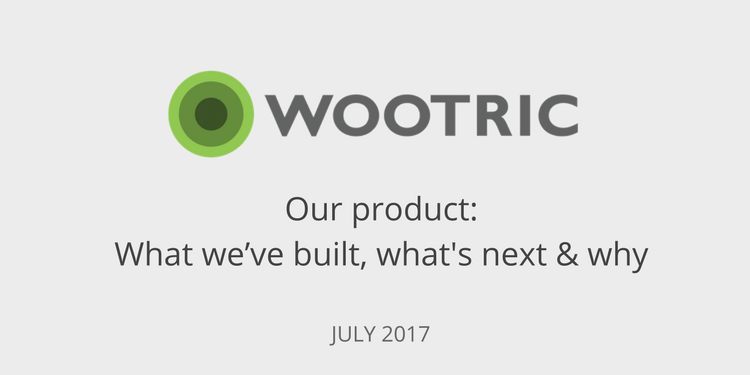 As the co-pilots of Wootric’s product team, we’re excited to share all the progress we have made in the past twelve months, and also give you all a peek into what’s on the immediate horizon for Wootric. 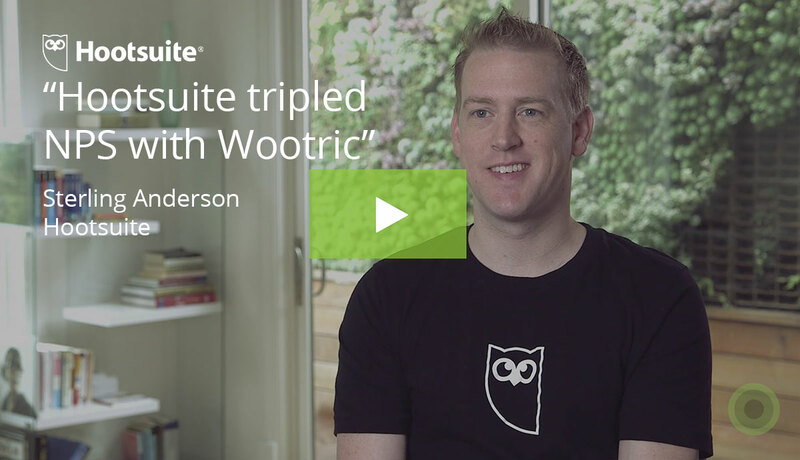 At Wootric we prioritize people, product, and process–in that specific order. At the end of day it’s people who build products and support our customers; process is there for people to be productive, not to get in their way. We are very pleased to see that in this competitive job market we have not only retained all our team members but have also grown the team to deepen our machine learning and big data prowess. As you can imagine, we work hard to “walk the talk” of boosting customer happiness. 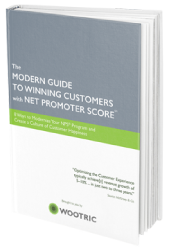 I’m happy to report that Wootric’s Net Promoter Score has improved 7 points year over year. We are especially proud of this trend as we have grown (rapidly) and the capabilities of our platform have developed exponentially. As we drive innovation in customer feedback management, our own customers — like Docusign, Mixpanel and Hootsuite — are seeing the value of our platform and the way we prioritize their success. Now let’s talk about product. One sentence that would describe our evolution this past year? 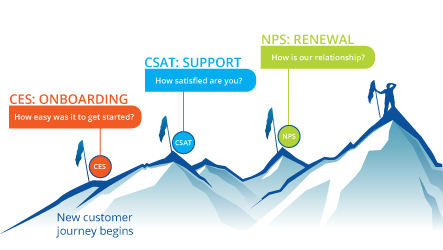 We have evolved from an Net Promoter Score survey tool to a platform that effortlessly turns all of your customer conversations into insights. In a world where customer experience is the new battlefield for competitive advantage, this empowers you, as a business, to shift from product-led growth to the holy grail of customer-led growth. Accessibility improvement. Wootric surveys, now compliant with Section 508 standards, can be filled out by the visually impaired — highly valued in education and government services. Among these features, if we were to pick the two that most impact our customers’ growth, they would be (a) launching our Salesforce Managed Package on the AppExchange and (b) the integration with Intercom. Both Salesforce and Intercom are two-way integrations in which Wootric enriches your CRM and Customer Support software with customer feedback and at the same time allows you to trigger surveys to customers based on events in Salesforce and Intercom. This has a huge impact on renewal and upsells because your sales and success teams have more context into what your customers think of your product and services. It’s been a fun challenge to keep a balance between new feature development and upgrading our infrastructure to handle our growth. 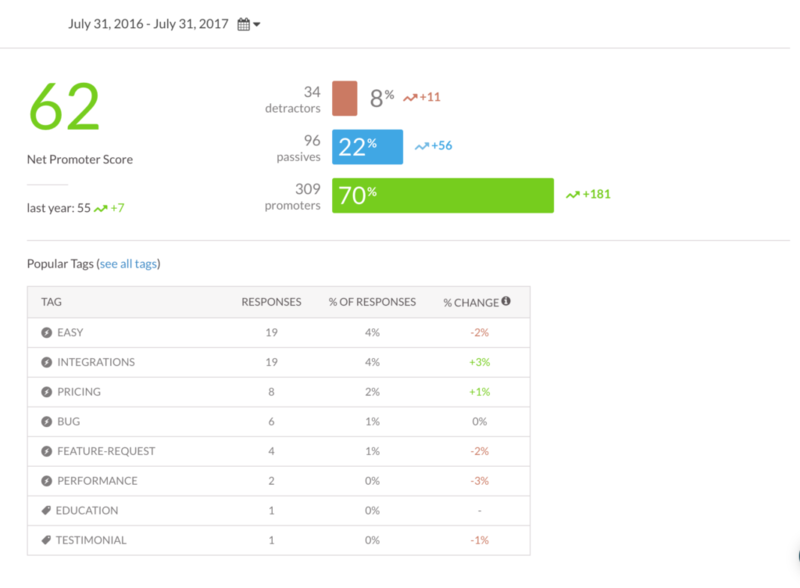 Our already ‘big data’ platform has exploded this year, with 300% growth in survey responses, and over 800% growth in REST API calls. (To reiterate: API all the things!) Our tech stack now includes Elastic Search, PostgreSQL, Redis, and several Amazon (AWS) and Google Cloud (GCP) services. Our infrastructure and devops are ready to handle the growth we foresee in next 12 months. But that’s all in the past! Our current focus is to add more intelligence to our service. We are working on being smarter about who to survey and when to survey so that you can converse with more of your customers. And, once we have your customers’ feedback, we will provide better and more automated insights through the use of artificial intelligence. Because the survey data we receive is unstructured text, it’s a great use case for the meeting ground between machine learning and Natural Language Processing (NLP). Besides leveraging the Google Cloud Platform, we are creating our own industry-specific machine learning algorithms that analyze open-ended human-generated feedback. 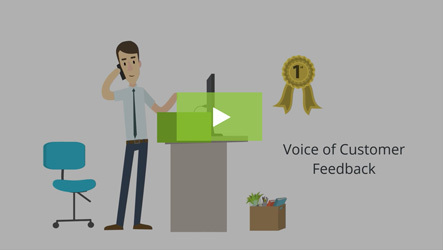 CX Insight™, our text and sentiment analysis product–trained by millions of survey responses–focuses first on SaaS, e-commerce, and media use cases. As with all things Wootric, this has been a customer-led effort. Our customers expect that AI-powered insights will provide them with a game-changing ability to improve customer experience. 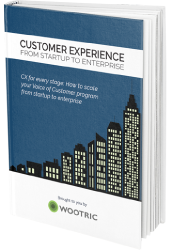 Wootric is at the forefront of a revolution in customer experience intelligence and we look forward to sharing this journey with you. Thank you.